Crackling leaves swirled around my feet and legs as I descended the stairs into the landscaped area that held the Mother’s Shrine, located in Laurie, Missouri. Music from the bell tower filled the air. The cloudless sky reflected bright blue in the large pond at the base of the open-air grotto. Other than the sound of the bells and the wind, all remained quiet. I was the only person on this day at the garden spot created by the diocese of Jefferson City, the St. Patrick Church. 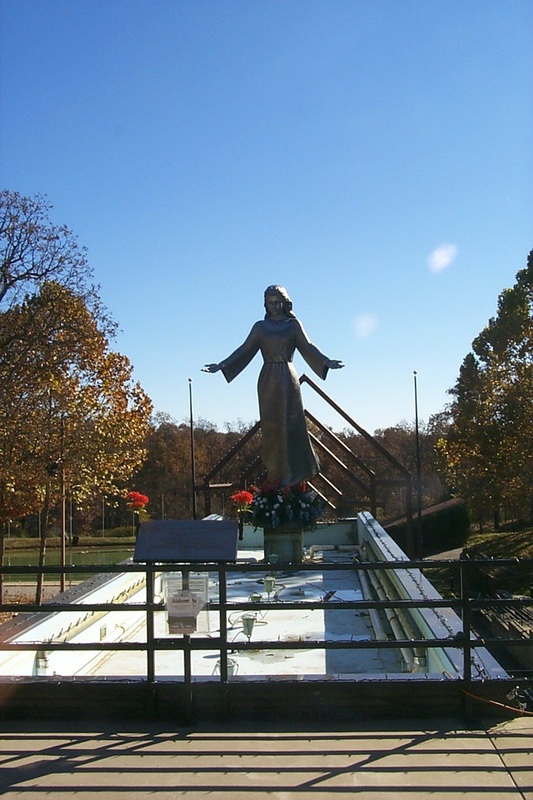 The Mother’s Shrine was opened in 1980, it is dedicated to the Virgin Mary and it features a 140-foot stainless steel sculpture of the Madonna. She is standing with outspread arms and hands tilted upward, and she looks down at the area around the base of her pedestal, which contains a black granite wall with the names of thousands of mothers inscribed on it. On this day, the flagpoles surrounding the area were bare, but the brochure stated that when the flags are flown, they represent more than 100 nations. 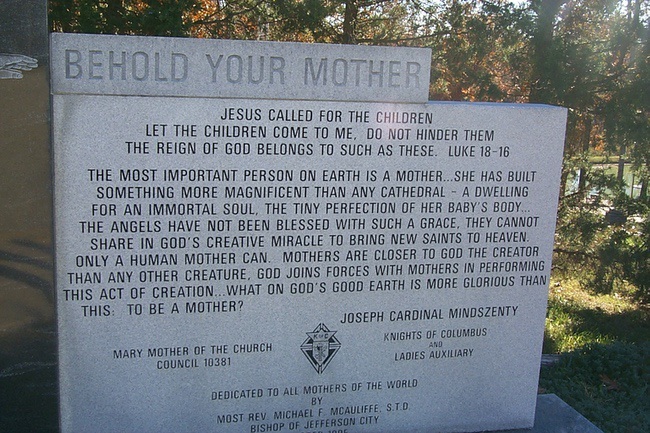 Thousands of visitors attend services in the amphitheater that honor not only Mary, but also all mothers. 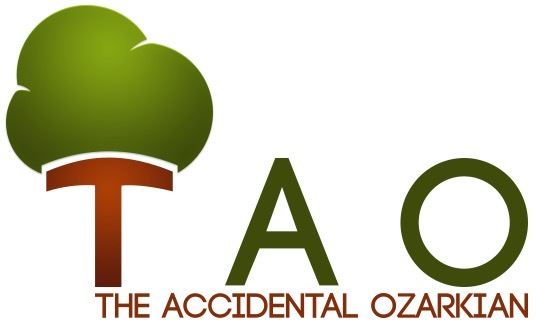 Groups and organizations are welcome on site. The beautiful amphitheater, capable of seating 6,000 visitors, has fountains, gardens [which hold 25,000 flowers in season], and a reflecting pool which all contribute to its beauty in the spring and summer. When I stopped in the office of St. Patrick’s Church, which is also located on the grounds, the secretary said the grotto would be decorated with thousands of lights for Christmas. A gift shop is open on weekends, and if you’d care to see the Mother’s Shrine, just travel north on Highway 5 from Laurie and watch for the signs. 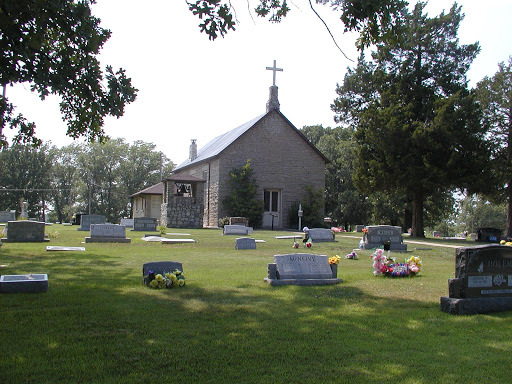 While in Laurie, located halfway between Versailles and Camdenton on Highway 5, you also may want to drive over to the original St. Patrick’s Catholic Church, located at 810 Highway O. This church dates to 1868, but the ministry actually began in 1822 when several Osage Indian Chieftains rode their horses to Florissant to see Bishop Louis W.V. 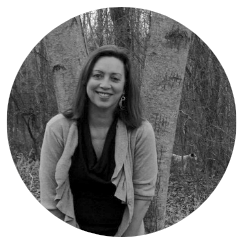 Du Bourg, and to request a pastor be assigned to the Laurie area. By 1850, a missionary named Thomas Fitzpatrick decided he liked the area because it reminded him of his home in Ireland, and started a parish there. Actually, the church was built not only by Irish Catholics, but also by a German-American Catholic and a Protestant Scotsman, and it was dedicated in 1883. The church was an active parish until 1952. After that, the church suffered years of neglect until a group of citizens from Laurie worked to get it placed on the National Register of Historic Sites in 1979. Outside, a cemetery surrounds the little old rock church. It holds old marble headstones, and fairly recent gravesites, too. As usual, I took time to meander around the cemetery, looking for the unusual funerary symbols. As at the Shrine, again I stood alone – this time in a cemetery with the dead from hundreds of years surrounding me. But, as usual, this doesn’t give me the creeps. In fact, it just serves to illustrate to me how very short this gift of life is for us, and how we need to cherish it. Learn more about the original St. Patrick’s Church near Laurie. 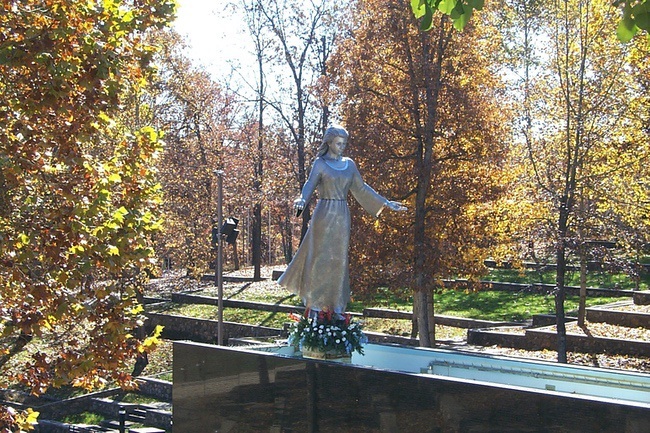 Update: In 2003, the shrine was renamed as “The National Shrine of Mary, Mother of the Church.” Visit the shrine’s website for hours and special events. First published in Fall 2002.